Photos showing a distinct yellowish green tint. 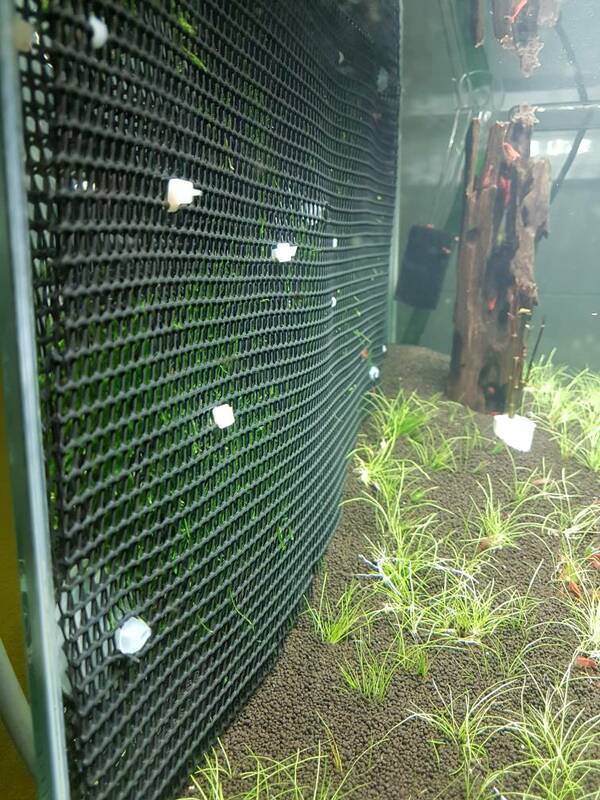 Are you still using the beamswork 6500k Planted 2FT? The hair grass you are using is the same as Kopi's? 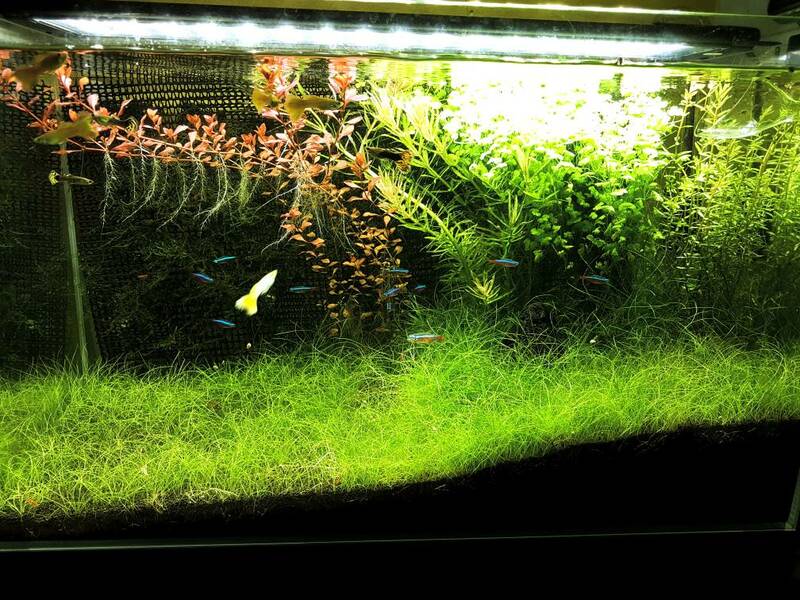 They do grow fast compared to Tropica's. The cardinal tetra looks ok though. You used back the old media right? so tank would have been cycled. 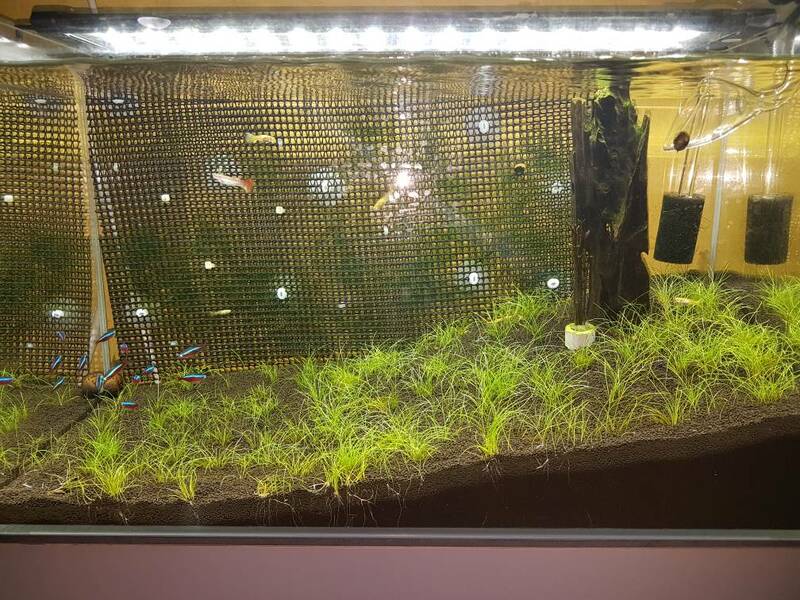 The grass was bought from my LFS. I trimmed them 10 days ago & they have grown back. They grow quite fast, but still waiting for it to spread horizontally. Long time no update. Hahaha. Good to see the tank now include stem plants. Ya, during setup alot of updates, buy this buy that, post here to show and tell. After everything grow in, doing maintenance then slowly no more update. 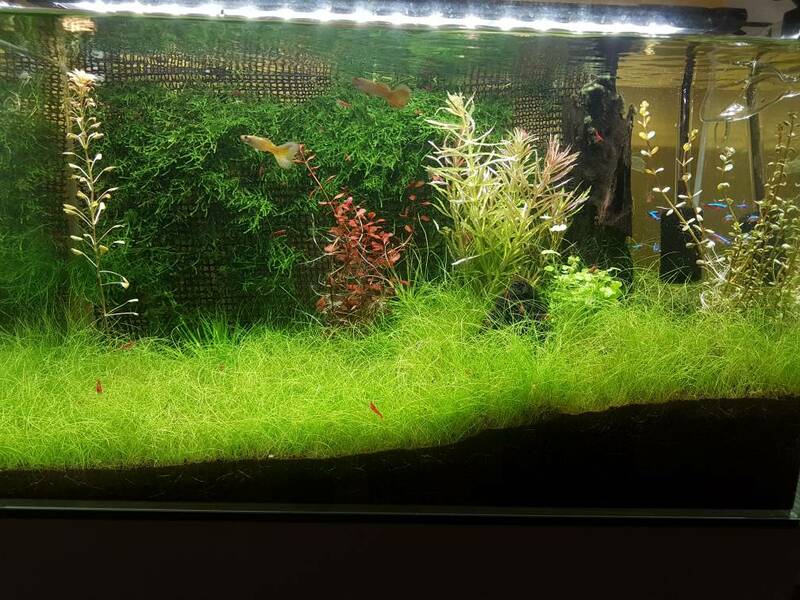 My tank too, running after 1 year plus no update, hahahaha. Next month, when I tear down the tank.